I feel so powerless and at a loss for words. I have a difficult time being able to say how lucky we are, when there are others who’s lives have been disrupted by hardship. We are the lucky ones, but for how long, I cannot say. One’s luck can change in an instant, unforeseen circumstances that lurk in the shadows, may suddenly rear their ugly heads to the light and lay waste to years of planning, dreaming and hoping for a better day. I whipped out a cute little dish/facecloth as part of a cooling-down project, just to dot something mindless. It gave me a chance to wind down from the gift projects I had been been working on for the past 2 months, and a way to try something easy. It turned out cute, if not a little lost in the variegation, but it was just for fun. Pattern: Diagonal Owl Dishcloth by Janelle Schlossman. I’m on to another project, a “coat” for Igor. It’s going to be a simple cape style, nothing fancy. I’ll continue to find comfort in the small things, and while I work, I’ll say a prayer for those less fortunate, and for a better day. 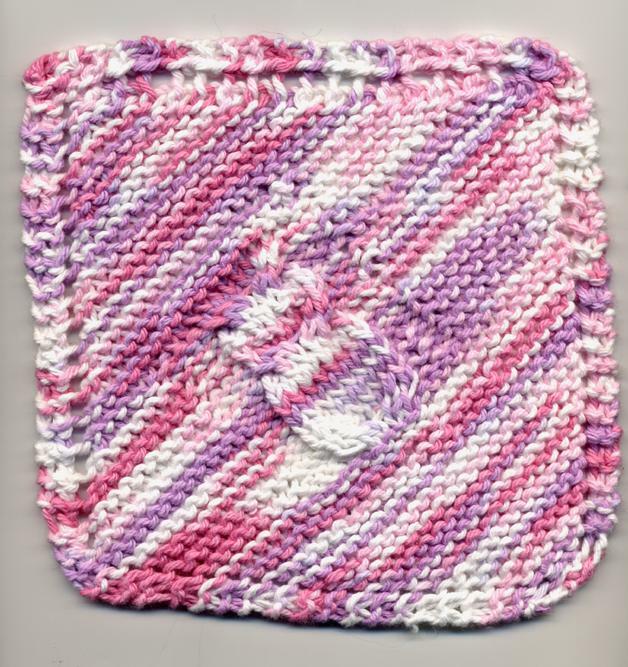 This dishcloth pattern is knit diagonally and features an owl, created with easy cables. C4B (Cable Four Back): Worked over 4 sts. Place the first 2 sts on cable needle, hold in back of work, k2, then k2 from the cable needle. C4F (Cable Four Front): Worked over 4 sts. Place the first 2 sts on cable needle, hold in front of work, k2, then k2 from the cable needle. Previous Japanese Pan Noodles Recipe Next Pickles as Comfort Food? SURE!